The Sanctum is an entirely plausible idea. A huge silo in the ground built and sold to rich types to hide out in the eventuality of nuclear war, zombie apocalypse, or, as in the case of when we join the various cast of characters in Under Ground, an impending pandemic. While a bit slow starting and with a fair few characters to get a handle on (there’s a map of who lives where and it helps!) once the corpses start piling up and the perpetrator(?) remains hidden tension ratchets up exponentially and the varied humans stuck inside a giant pressure cooker all start to go off one by one like kernels of popcorn. 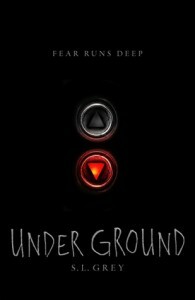 As with all the best books of genres like this the real meat of Under Ground isn’t the threat from without but from within (literally!) and what happens when people are left in extreme psychological distress in close proximity to each other. I’ve seen it being described as a fast paced, slow burn thriller. That’s not far wrong. 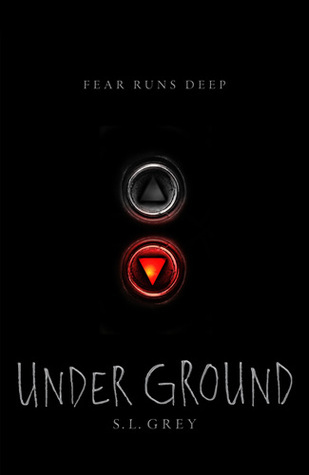 Under Ground is a collaboration between Sarah Lotz and horror writer Louis Greenberg but, in short, if you liked Sarah’s previous books The Three and Day Four, you’ll like this baby.